Canada geese mate for life with both parents rearing and defending their young. One pair will raise on average 5-6 goslings a year, producing more than 50 young in their lifetime. An average adult consumes 4 lbs of grass and produces 2 lbs of waste daily. All adults undergo molt, an 8-10 week period where they replace their old feathers and are unable to fly. 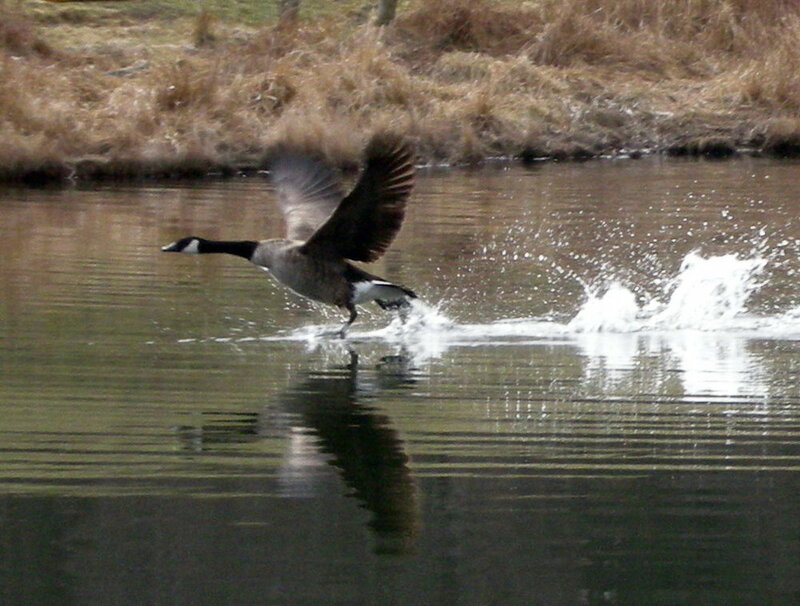 Canada geese migrate over 2,000-3,000 miles a year, returning to the location they were born to raise their young.